Attention men and women over the age of 35. 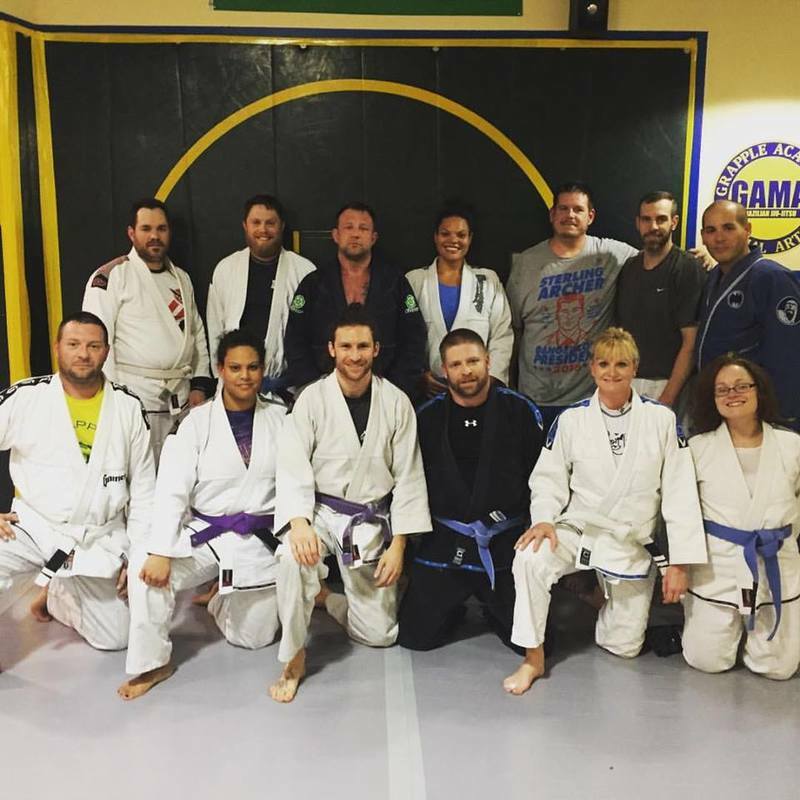 Grapple Academy Martial Arts has a class just for you! As we get older, we need to exercise more, but exercise in our 30s, 40s and 50s, is not the same as when we were younger. In this class, we will be focusing more on our warm-up exercises (compared to our all-ages class). This class will explore basic yoga poses for flexibility and core strength. We will also be doing static and dynamic stretches after a nice warm up. Brazilian Jiu-Jitsu in this class will be focused primarily on Self-Defense applications. We will include sport style training as well, but at a slower, more compatible pace than with the under 35 crowd. We are offering a full 3-month membership for only $199 for the New Year! This class meets Mondays at 7PM. With this New Year special, you will be on membership at GAMA to take both this class as well as the Saturday Morning Fundamentals class at 10AM. After 3-months, we have many different membership choices for you. At any point, if you are comfortable to move into our All-Level, All-Age (18+) Adult BJJ program, you may, however, if you have no training, these THREE MONTHS will allow you to get a solid grasp of Brazilian Jiu-Jitsu before joining any other classes. You will also develop enough strength and flexibility to prevent injury.